Splendid chaps, all of them. Today, Twitch begins a seven-week endurance run/celebration of all things old-school Doctor Who, live streaming over 500 episodes worth of adventures in Time and Space. Unless you happen to have seven weeks of free time starting imminently (in which case, I envy you), you likely can’t sit down and watch all of it. So here’s a few must-watch storylines to dive in for. 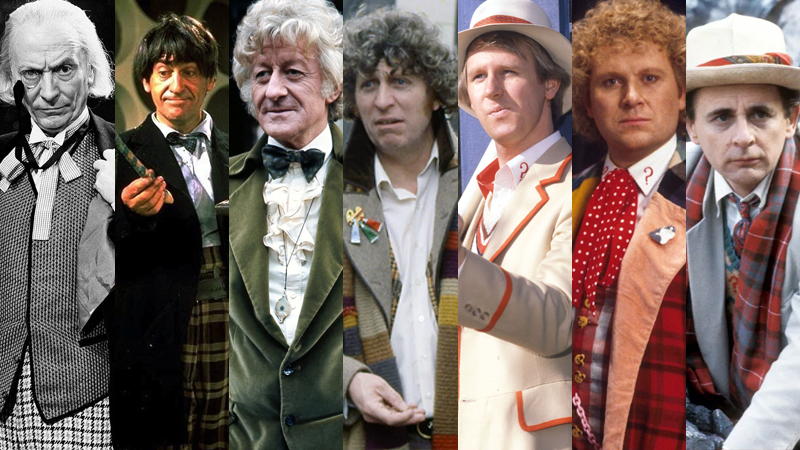 Given that 500-plus episodes is, well, a whole damn lot, in order to break this down into a more digestible format we’ll be recommending a few choice selections for each of the first seven Doctors, as well as the times and dates they’ll be broadcasting on Twitch Presents over the next seven weeks. If you want to see the full schedule of stories that are airing and the time of each daily block they’re in, you can check them out in both Pacific and GMT time-zone formats over at the official Doctor Who website here. Where it all began, with 1963's “An Unearthly Child”. Trials! Intrigue! Fabulous headgear! Colin Baker! “Trial of a Timelord” has it all. all of time and space, everything that ever happened or ever will—where do you want to start?